John Petrizzo DPT competed in the National “Starting Strength Challenge” which was held in gyms all across the country over the weekend of 4/23-4/24. John hoisted some amazing numbers (600 deadlift, 525 squat, 255 overhead press) and came in 9th overall out of a of 96 men who competed nationally. We could not be more proud of him. As a Doctor of Physical Therapy and Starting Strength Coach John not only talks the talk but clearly walks the walk. However, most impressive is his passion and never ending generosity in sharing his knowledge and wisdom with our clients who want to excel in strength. I had a fantastic time at the first annual NY TRI EXPO at Citifield on March 19th. The venue was packed with multisport athletes from newbie to pro. 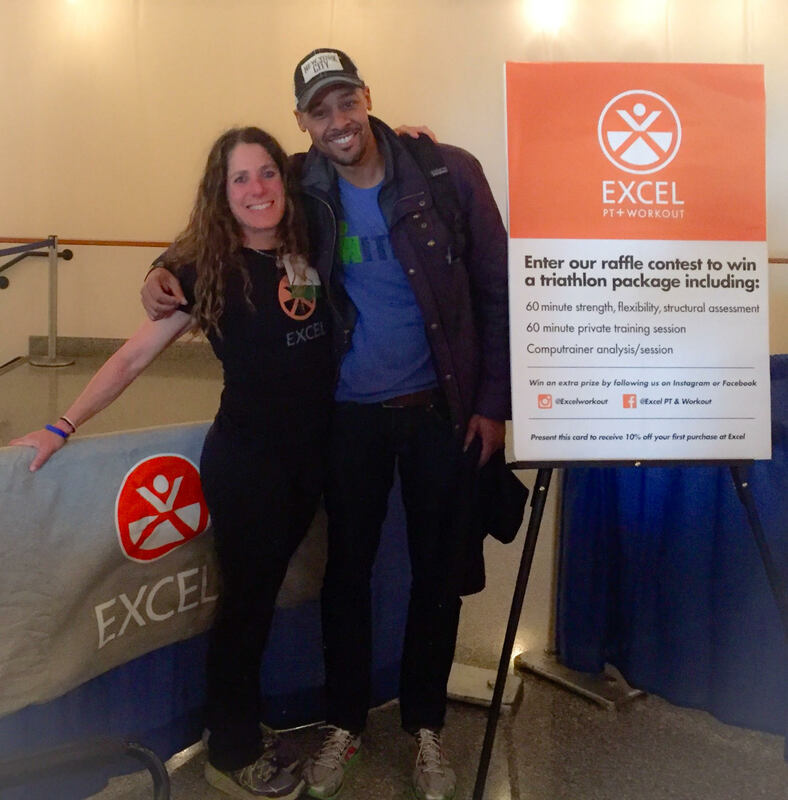 John Petrizzo, DPT and I were there to represent Excel PT & Workout. We spoke to countless athletes (and their supporters) about injury prevention, the importance of strength, flexibility and recovery body work. I spoke on a panel alongside other great professionals for a more in-depth discussion of injury prevention for the triathlete. I enjoyed seeing many of my racing colleagues in a non-competitive environment. We are all friends trying to do our best when the gun goes off at the swim. I was so happy to see Matt Long, author of The Long Run, an inspirational true story about Matt’s life. We all have something to learn from Matt and the IWill Foundation. If I helped a few athletes have a better season then it was a huge success. Thanks to Hilary Topper and HJMT for putting this great event together.